I know people are probably thinking like, Ok it's just hamster you know. And yep, I agree. Furthermore I've had hamsters since I was like... 12? 13? And dwarf hamsters only live about 2 years. I've basically gotten used to them dying. The first hamster I had of my own (the ones at 5 years old don't count) was a feisty one named Hammy (no... it's not a derivative of "hamster"; it's actually inspired by Hammie from Baby Blues). For Hammy my mom & I could tell when she was dying. 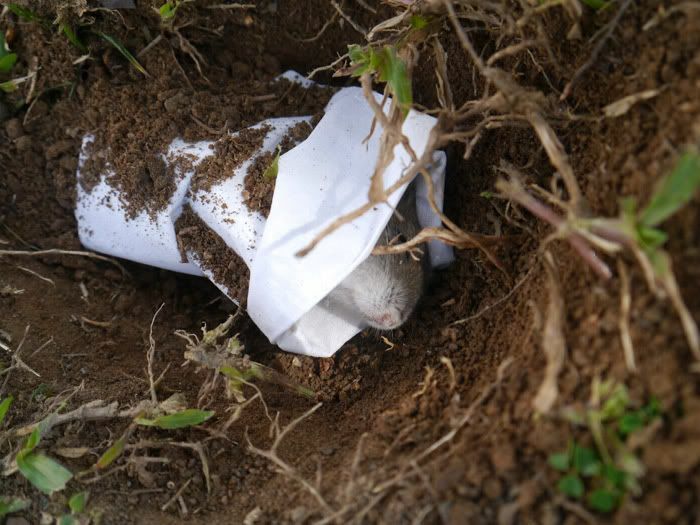 She passed away in our hands & I held her cold, lifeless body in my hands & cried for 2 hours before burying her. Since then I've had a succession of hamsters. Some just had ok-ish characters. Some were great - I had one that I would take out & put on my table while studying; she'd run & sniff around. When she got tired she'd curl up somewhere & nap. An hour later she'd emerge all refreshed & start sniffing about again. So like I was saying - I got used to them dying. I have chucked my dead hamster rather unceremoniously down the rubbish chute. I came home on Sunday night & took Hamlet out of her cage as usual. I held her & walked over to my main door to lock it, stopping to let her sniff around at the potted plant - I always find it a little strange that hamsters are one of the few animals that basically get no exposure at all to nature. Watch out for ants if you ever put your hamster on the grass! 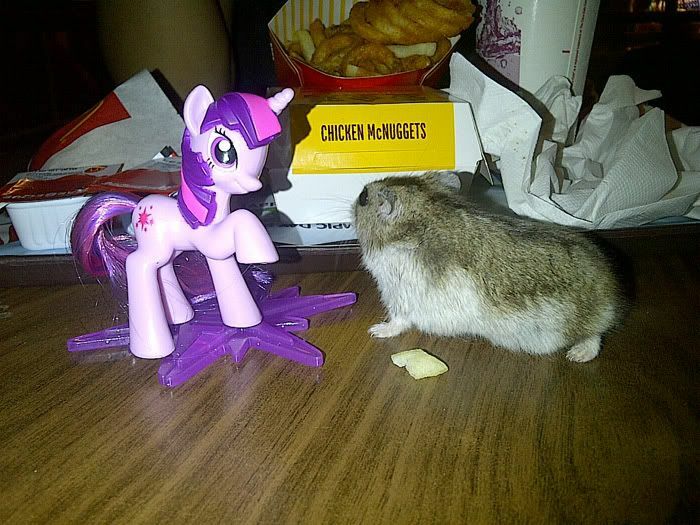 Brought Hamlet out to McDonald's once; offered her a bit of a fry but she wasn't interested. Guess she knows what's not good for her. I then brought her to my room & let her run around on my bed; brought her back to her cage when she started getting over-excited. I refilled her food bowl, giving her 2 peanuts instead of 1 (they're rare in her food packet) because I figured I'd open a new packet soon. Then I thought nothing more about it for the night. The next day, like every day, I woke up & walked to the bathroom. That makes me pass her cage, so I stopped & decided to refill her water. Only 1 peanut had been eaten. She was curled up in her favourite sleeping spot, but she didn't stir awake & come over to greet me. She stayed still & although I already knew, I lightly tapped her thinking maybe she was just taking longer to wake up like the little lazy piggy hamster she is. Her body was only very slightly colder than usual, so she couldn't have been dead more than an hour. I was sad, but hey, I was used to this no? So I set about dismantling her cage, the same way I always do when I'm going to clean it. I usually start taking out her house, food bowl... etc while she's still in the cage, so she runs around wondering where all her things are disappearing to. But this time there was no curious poking by her furry little nose. Finally I'm left with nothing but her body, the bedding pellets & her broken wheel. I'm thinking I should just dump all of it into a plastic bag & throw it away. I look at her little body & that's when the sadness really hit me. She just looked like she was sleeping. And I'm really sad that she won't be there anymore. Me: "I know you think I'm stupid for crying about a hamster". I cried when my hamster passed away. I'm sure hamlet will be at a better place now.. It just passed away suddenly? No signs at all? That final picture of Hamlet in your post looks like she's in peace.. RIP. that was heart breaking. it was not just an ordinary hamster. My parents said our God is a God of not only humans but animals as well! So Hamlet probably went to Hamster Heaven :) and yes I'm 16 and no I'm not being childish! 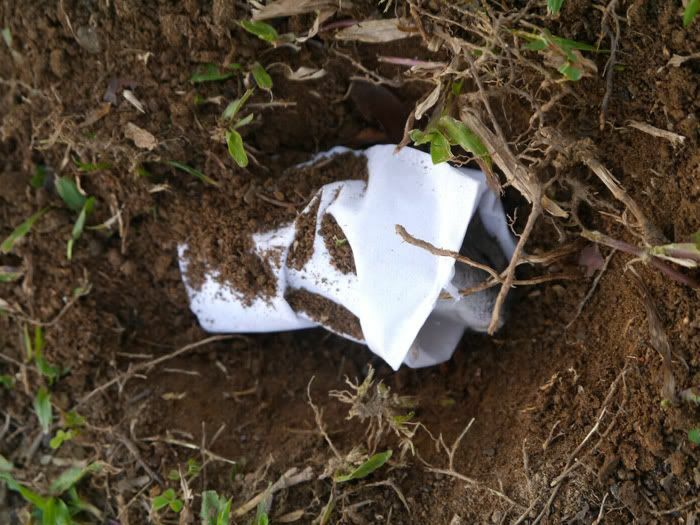 hey sophie i dont think you should bury it just like that cos from what I heard stray animals are kinda sensitive and do dig it up when they pick up the scent. sorry about the loss, every bit to be sad about. 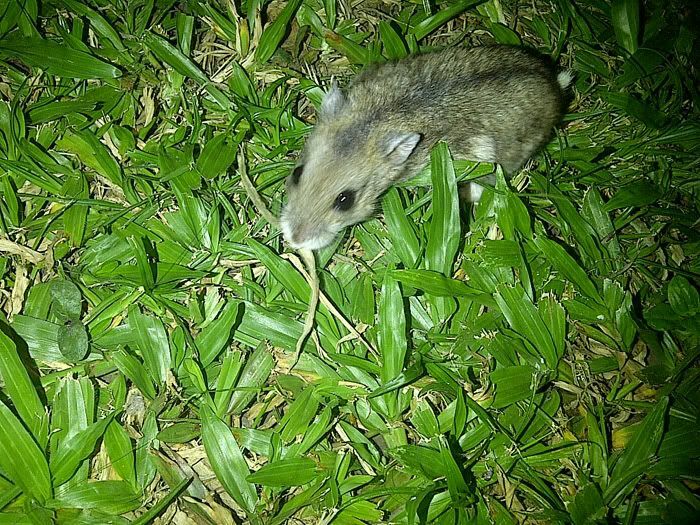 I dont own a hamster, and i'm scared to touch them when my bf's brother bring this hamster out to play. Yet, im crying at this post. i'm sorry for your loss sophie. one of my own hamsters also passed away recently; i'm left with the last one that i'm very close to and also bring out to play a lot. hamlet's in a better place now, and i'm sure you gave her a wonderful life with you. this is one of the most thoughtful, well-written, authentic and sincere posts i've ever read on your blog. very very moving. i'm so sorry. and dont ever say you're silly for feeling sad. my cat passed away and even though i was expecting it, (she was very very old) and unceremoniously like u said, took care of her 'removal'- it still hurts. Anonymous: I actually used to write a lot like this... Lol but I haven't really had emo stuff to write about in a while (which is a good thing). It's not that nothing sad/frustrating has happened to me, but naturally I'm a little more private about those due to having more people read this space :) And I guess overall I'm a lot less depressed than my ALevel days lol. I cried reading this :((( I've had a few hamsters but the last one I had was special and the only one I mourned when it died. I still think of it from time to time (& tear up lol). RIP Hamlet. I hope you're feeling better. I saw a link to your blog on Xiaxue's blog and read this.